Trans-trax: Some decisions on infrastructure and rolling stock - but are they enough? 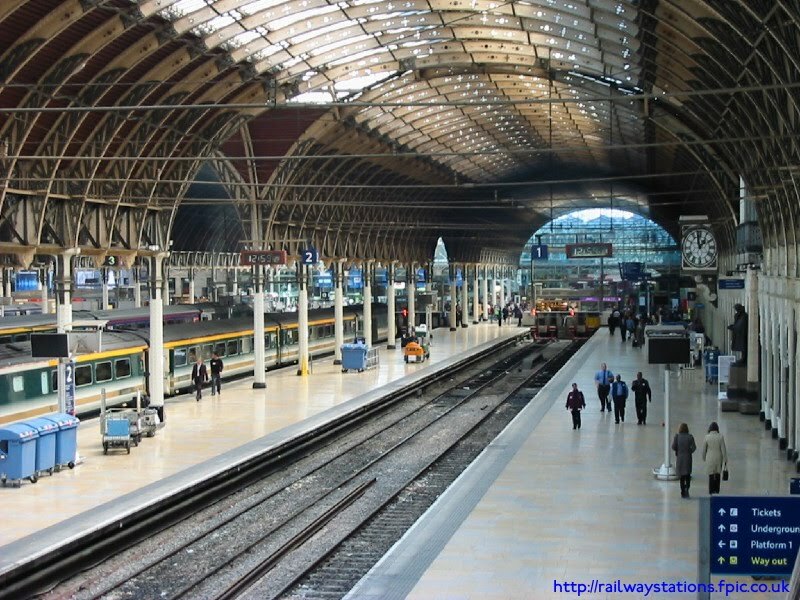 Some decisions on infrastructure and rolling stock - but are they enough? Now that the Government has decided on its priorities, at least in part, on transport, we have a clearer idea of its intentions. Crossrail will go ahead as planned though there have been modifications, especially in the design of the stations so as to save about GBP1bn. Thameslink also escapes the hatchet, though with certain delay so as to spread the cost over a longer period. The GWML electrification scheme, to Bristol, Cardiff and Swansea, has not been decided upon. However, the much mooted extension of the Crossrail project from Maidenhead to Reading is now being turned into an extension of GW surburban services through Reading to Didcot and Oxford on one hand , while to Newbury on the other. It has not been stated whether these are part of Crossrail or not. There is a certain logic here since the rolling stock needed will be commuter stock so it makes a logical operational decision to take advantage of the "wires" to run electrical commuter stock under them to the limits of where they will go. The rolling stock needed for the West and South Wales services are long distance and that is where the decision has been postponed until the New Year. These are basically fill-ins which, more than anything, will facilitate the use of electric traction units using the already electrified WCML between Liverpool and Manchester with Glasgow and Edinburgh. This a long overdue decision since many of these connections were only available with a train change at Wigan or Preston, or the use of diesel units for the whole journey when they were only needed for a short non-electrified section - a gross misuse of resources. Other commuter opportunities are also opened up especially with the extension from Preston to Blackpool which will result in a greater, more efficient use of material. The material used will be cascaded, and should be renovated(though the DfT says nothing about this) from the Thamelink lines which will receive new stock. HS2 is to go ahead but no definitive route has been decided upon. We suspect that there will be little change (just tinkering) from the route as laid out by the previous government (in March 2010). The present government will just choose its moment to make the route known so as to reduce the negative political impact among its own supporters as much as possible. The no news with regard to the electrification of the MML from Bedford to Nottingham, Sheffield and Leeds was received with great disappointment. However, we suspect that a lot will depend on the final route of HS2 from Birmingham to Leeds. A great part of this route will pass through the aforementioned cities. Therefore, they might get a better than anticipated service when the route is finally announced. Thereafter, the electrification of the MML from Bedford to Nottingham will be a logical fill-in in the next stage. The main content of the announcement made on 25-11-10 refers to the number of new rolling stock to be purchased. The figures mentioned are about 2100 new carriages, "including vehicles" for the Thameslink and Crossrail projects.The net gain in carriages is calculated to be in the region of 1850. The Intercity Express replacement programme complements this but as yet is still undecided. We feel we have to make a comment which has nowhere been made up to date. One rapid way to increase the numbers of locomotives and coaches on the railway network is to cut a deal with Eurostar. Eurostar trains were built to British standards(limitations) with a narrower gauge and a dual traction system so they could run on the third rail DC system into Waterloo. Since these limitations no longer exist on HS1 into St.Pancras, then the stock is superfluous to needs and Eurostar will be thinking about replacements for that stock. If the UK government were willing to pay a fair price for the stock (which is only about 15 years old) Eurostar might be persuaded to bring forward its replacement programme so as to have a more modern, more comfortable and a more standardised fleet, thus reducing its own running costs. This would be of special importance if DB is to be allowed to run trains into St.Pancras with underfloor traction units and not the end traction units used at present on Eurostar trains. The dual standard locomotives are what Thameslink needs and will need for trains on the differing systems both north and south of the Thames. They might not be appropriate for stopping commuter services but certainly would work for fast limited stop services. The future network envisaged for Thameslink would run from Peterborough and Kings Lynn, as well as Bedford, to various destinations on or near the south coast. The locomotives might also be useful for both passenger and freight traffic on the Southampton to Birminghan corridor. This would especially be the case as the GWML has been confirmed as being electrified from Reading to Oxford. This could then be connected to HS2 and so open the rest of the electrified network - especially the WCML.